Amazon’s own lined of branded products, AmazonBasics, has launched a smartphone repair kit, which will work for iPhone owners looking to follow DIY guides, such as those from iFixit. The AmazonBasics Smartphone Repair Kit is priced at $12.99, but Prime members get 20% off, taking it down to $10.39 with free 2-day shipping. 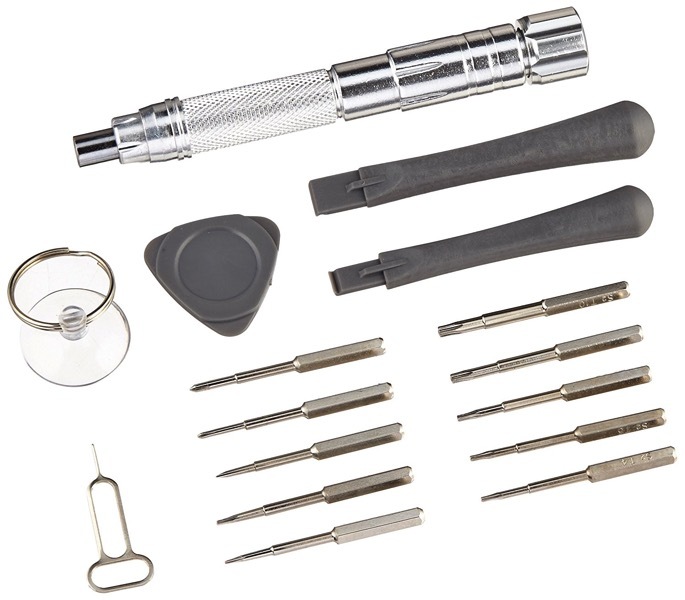 Click here to buy the AmazonBasics Smartphone Repair Kit on Amazon.ca. The kit comes with a full 1-year warranty.